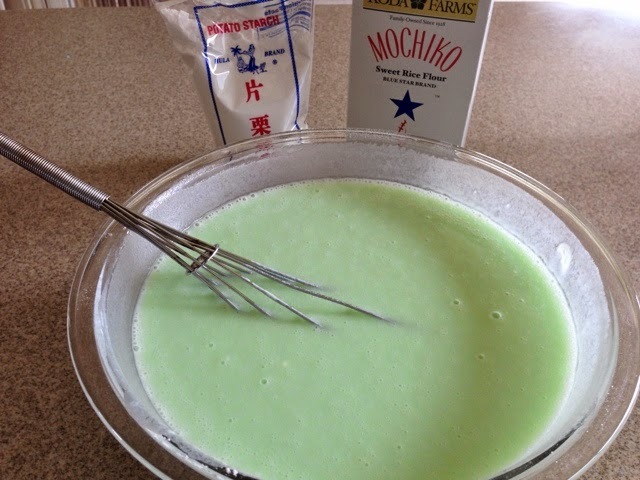 Girl's Day is just around the corner (March 3, 2015), and instead of heading to Fujiya or Nisshodo for your chi chi dango, why not make it at home? It requires very few ingredients, and it's very easy to prepare. In fact, you'll find that the most difficult and time-consuming part of the process is the cutting and wrapping at the end, but if you have someone to help you wrap while you cut, it's a lot easier and quicker. Sift dry ingredients and set aside. Mix water and coconut in a separate bowl, add vanilla, then gradually mix in your dry ingredients. 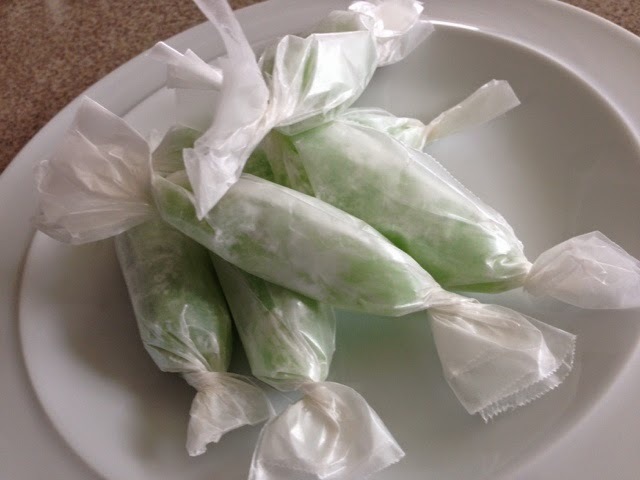 Add food coloring (add a few drops at a time - a little goes a long way!). 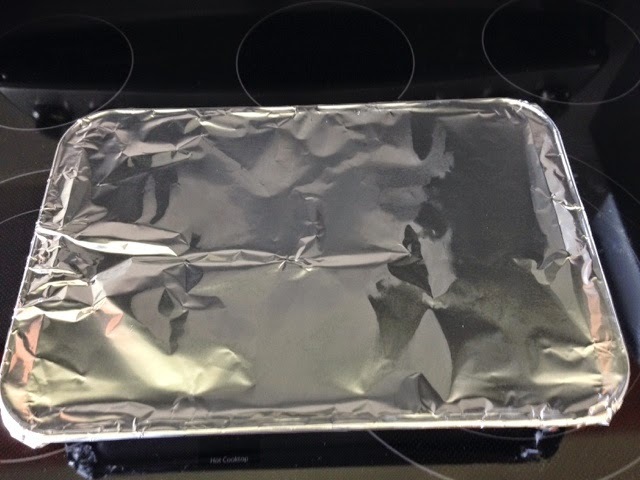 Pour into a pre-greased 9x12 baking pan (I've discovered that Pam Cooking Spray works better than regular oil), cover tightly with aluminum foil, and bake at 350 degrees for one hour. 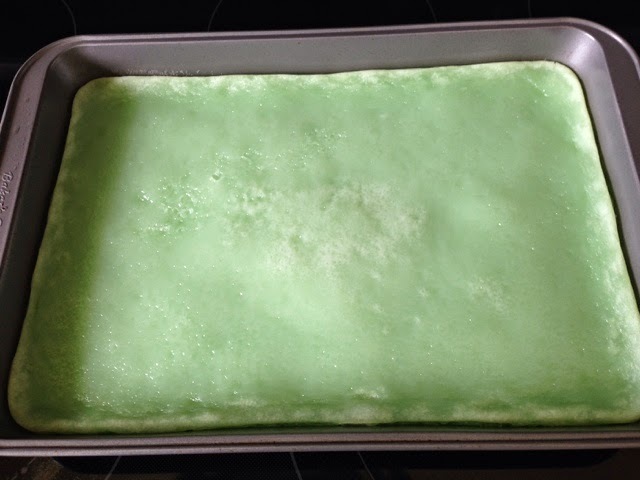 After baking, allow the mochi to completely cool and place on a cutting board that is pre-dusted with potato starch. The potato starch prevents the mochi from sticking. By "completely cool", I'm talking around 2-4 hours. 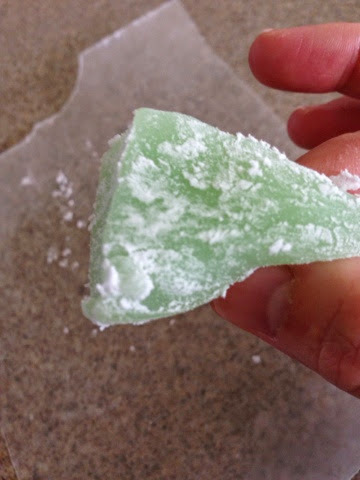 Dust your hands with potato starch, and cut your chi chi dango into bite size pieces using a plastic knife. Roll each piece in potato starch and dust off any excess starch. I like to wrap my pieces individually in cut wax paper.